Stunning historic architecture, an astonishing variety of international food, and a wide range of cultural amenities. Get here easily with the 7 train, over 20 bus lines, LIRR, and a range of parking options. Visit the Kiosk at Kissena Blvd. and Main St. for more informaiton. Find great deals on shopping and dining in the neighborhood. 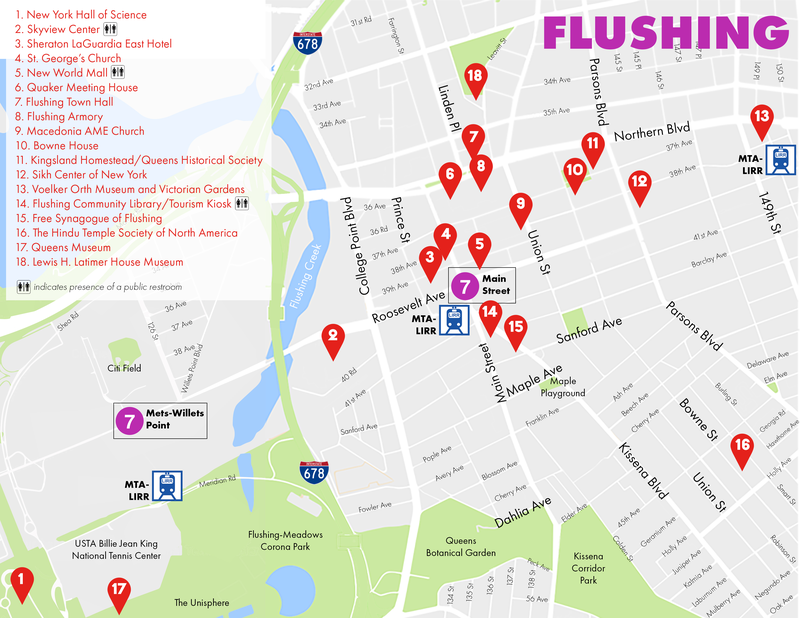 Check out must-see destinations through our interactive Flushing map!